2019 — S. Thorn and B. Lahey, Violin Shoulder Rest with Haptic Feedback. Patent Pending. 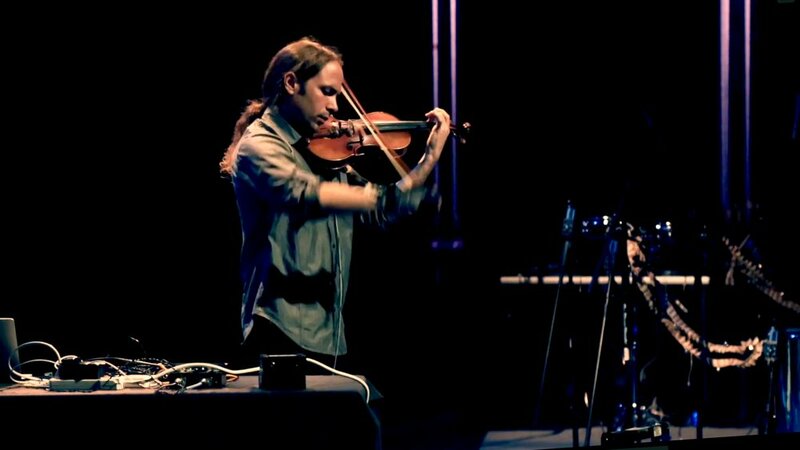 Dr. Seth Thorn is an American violinist and violist whose research encompasses computational media, improvisation, and philosophy. He has published articles in premier journals and top-tier conferences spanning critical theory, music, and human-computer interaction, including Leonardo Music Journal (MIT), Qui Parle (UC Berkeley), ACM TEI, NIME, and ICMC. He has performed on violin with the interface he developed, alto.glove, at top conferences and music festivals, including the International Conference on New Interfaces for Musical Expression (NIME), the International Conference on Tangible, Embedded and Embodied Interaction (TEI), the Conference of the Society for Electroacoustic Music in the United States (SEAMUS), the New York City Electroacoustic Musical Festival (NYCEMF), and the New York City Electroacoustic Improvisation Summit (NYCEIS). Alto.glove has been recognized at the prestigious Guthman Competition for New Musical Instruments at the Georgia Institute of Technology. Prior to his career as a digital musician, Seth studied with leading musicians, including William Magers of Arizona State University and Roland Vamos of Northwestern University. He has also studied with Stefan Kamasa of the Warsaw Conservatory and Charles Pickler, principal violist of the Chicago Symphony. Seth was selected to attend the International Summer Academy of the Juilliard School, where he studied chamber music with Stephen Clapp, Dean Emeritus of the Juilliard School, and participated in masterclasses with leading ensembles, including the Leipzig String Quartet. Alongside his career as a composer-performer, Seth’s scholarship in philosophy, German studies, and political theory was recognized with a Fulbright research fellowship that allowed him to do interdisciplinary research in music and philosophy at the Goethe-Universität in Frankfurt am Main. He also received a research grant by the Deutscher Akademischer Austauschdienst for the same project. Seth received a fellowship from the Tisch Foundation as well as grant and fellowship support from the Mellon Foundation while at Brown University, where he participated in a pilot program in interdisciplinary graduate study, the Brown Open Graduate Education. Because of his interdisciplinary scholarship across music performance and political theory, Seth was selected as a discussant for inceptive talks that shaped development of the Barenboim-Said Akademie in Berlin, a new program combining a broad liberal arts education with rigorous conservatory training. Discussants included members of the Barenboim-Said foundation as well as Dr. Michael Steinberg, past President of the American Academy of Berlin; Daniel Barenboim; Alisa Weilerstein; Mariam C. Said; and members of the East-West Divan Orchestra. Seth teaches electronic and digital audio in the School of Arts, Media and Engineering (AME) at Arizona State University, recently named one of only three “exemplary transdisciplinary programs” in the National Academy of Sciences, Engineering and Medicine Report. He actively works across disciplines and departments, facilitating interdisciplinary and practiced-based research in musicianship, new media, philosophy, cognitive science, and computational media. He is the principal investigator of project inclusive of faculty from the School of Engineering (Dr. Suren Jayasuriya), AME (Dr. Byron Lahey), and the School of Music (Dr. Katherine McLin) that combines high-speed computational photography and algorithmic analysis with novel physical-digital prototyping and modification of violins, funded by the ASU HIDA Research Council. The project is creating and identifying areas of shared interest among students and faculty from AME and the School of Music. The goal is to imagine how rigorous conservatory training can be combined with the knowledge enterprise of practice-based and arts-based research in physical computing, programming, and HCI. Seth holds PhD and MA degrees in Computer Music and Multimedia from Brown University, an MA in German studies from Brown University, an MA in political theory from the Goethe-University Frankfurt am Main, and a BA from Northwestern University. He has also studied music at the Hochschule für Musik und Darstellende Kunst Frankfurt am Main. At the iStage, School of Arts, Media + Engineering, Arizona State University. With Stephen Clapp, Dean Emeritus of The Juilliard School. Gewandhaus, Leipzig. Performing on viola. iPark Foundation, East Haddam. With Daniel Barenboim and members of the East-West Divan Orchestra. Staatskapelle, Berlin. With Alisa Weilerstein, Ori Kam, and members of the East-West Divan Orchestra. Staatskapelle, Berlin. Performing on violin. ACM TEI Arts Track, Tempe Center for the Arts. Performing on violin. New York City Electroacoustic Music Festival.